A number of heroes decided to formalize their working relationship after the liberated and reoccupied the former EAGLE's Nest, renaming it the Fortress. 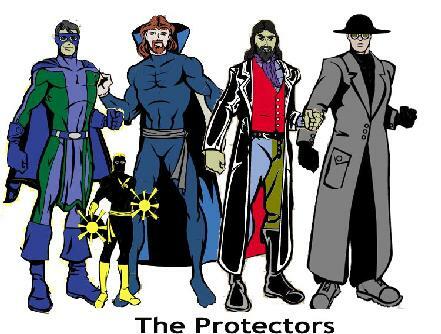 They became The Protectors. Known Powers: Leaps extremely well, superstrong. Physically stronger than human normal. Full capability unknown, but lifts over 1 ton. Can cling to wall and leap great distances. Defender, with Ka-Sador, has established the 'Parts as his beat and is quickly making a name for himself as one of PA's most prominent heroes. Flex was invited to the join the Protectors in Interlude 34.1. Left the Protectors in Issue 30 to return to space and fight the Krai. 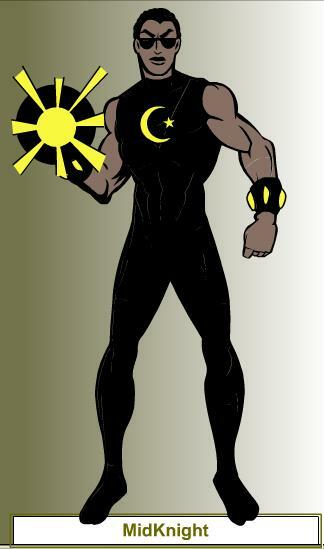 Ka-sador is an Orionid, a race which descended from birds. 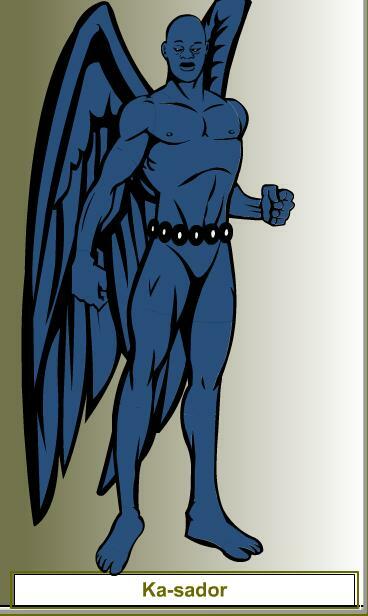 He possesses large wings, and is himself larger but less dense than a human being. His race was conquered by the Krai Empire many generations ago, and placed under the complex Krai legal system. Ka-sador was sent to fight in the Krai Arenas after falling afoul of that system. 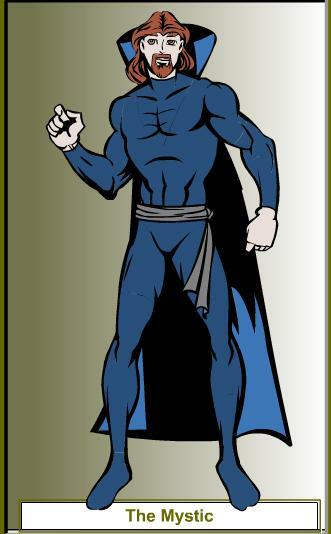 He is highly proficient with the traditional Orionid bolo, as well as with an unorthodox but highly effective style of hand to hand combat, honed in the arena. For battle, he dons an armoured wing harness, which allows him to more effectively block incoming attacks. 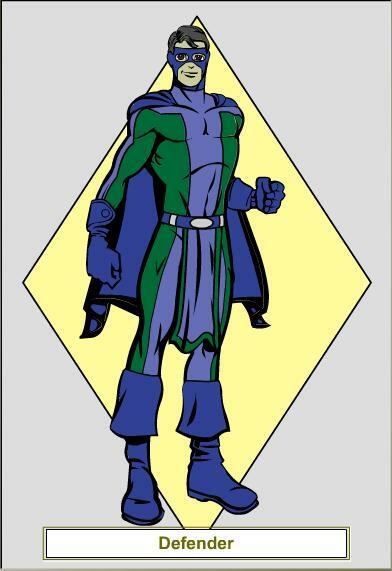 Ka-sador is an Orionid, a name given to them by the intelligensia in relation to the constellation hunter Orion. Nearly extinct, the Orionids are (or were) renowned for their tracking and hunting abilities. To Orionids the pursuit of a quarry quickly became their raison d'etre, which seemed evolutionarily predestined. Possessing highly enhanced senses like that of the wild game they pursued, the Orionids were able to track even the most stealthy and clever of species on their planet. Orionids quickly mature and possess tall, slender frames with smooth almost avian features, and a sleek midnight blue skin tone (which can appear jet black up to royal blue depending on lighting and movement. Despite being a physically imposing species, the Orionids are extremely docile and quite pleasant as a people exhibiting great patience and determination. 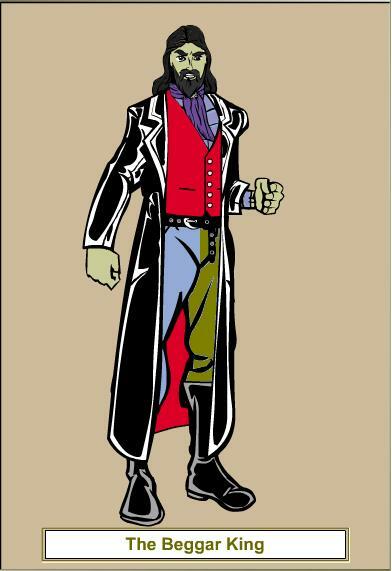 This demeanor, however, nearly led to their downfall as more aggressive races sought to harness their uncanny retrieval and hunting abilities for exploitation. The planet fell under the dominance of the Krai empire, and the peoples treated as a subject race. Self-rule was abolished, and the strict law of the Krai was installed. Ka-sador was one who fell afoul of the complicated Krai legal system and forced into slavery as a child. 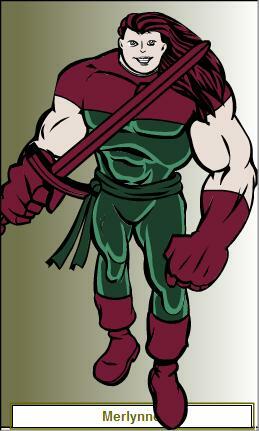 He was destined for the Krai arena and was trained in the traditional fighting and hunting methods of the Orionids. After some success in the backwater arenas on the Orionid home planet, it was decided that he should be sent to fight closer to the heart of the Krai empire. Eventually his "tour" took him near the frontier where the war with the High Illani and the Bolusci was being waged. It was there that the accident occurred. The Krai ship, which was not a warship by any means, although not unarmed of course, encountered a small Bolusci craft. Naturally, it attacked. It crippled the enemy ship and drew near to board. After a brief boarding action, a new prisoner was brought on a board, a young looking alien -- not a Bolusci, a High Illani. Suddenly the Bolusci ship exploded, damaging the Krai ship. The power to Ka-sador's cell went off and he wasted no time in stepping out and disabling the guard who was man-handling the young Illani. Together the two headed for an escape pod, pausing only to collect Ka-sador's armaments as they went. Ka-sador disabled several more Krai as they fought their way clear, but soon the two prisoners were free. As the pod sought a planet on which to land, they traded stories. 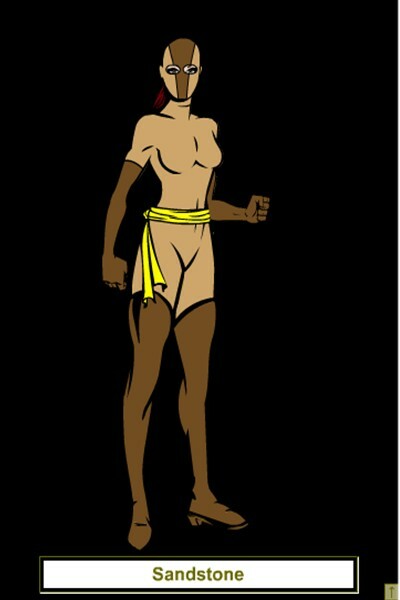 Ka-sador learned the Illani was M'Krell, a princess of the Illani, who was Truce-Bonded to the Meg of Bolusci to form an alliance against the Krai. The bonding was not a happy one, and M'Krell fled and was captured. Now the two aliens are trapped on earth, with no way off. Are the Krai hunting them? What about the Meg and his Star Guard? Only time will tell. Known Powers: Can call upon the power of a mystic sword to augment her personal abilities, or can manifest the weapon itself. 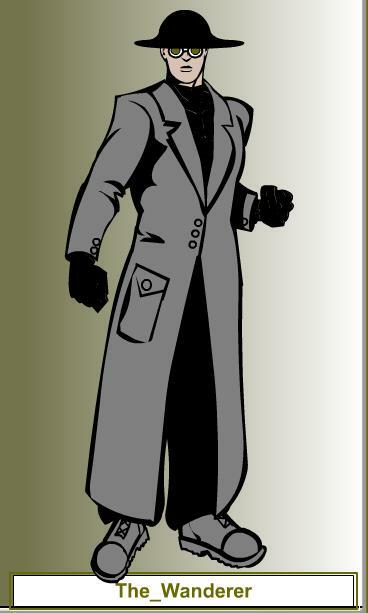 Merlynne is on loan from the UN; Jack Richards hopes to use her as the nucleus of a new Peacekeepers team once she gets some experience. Known Powers: Can project beams of coherent light. Member of Midnight Angel Detective Agency with Star Lad. Known Powers: A variety of magical powers, including blasts of fire and teleportation. The mystic guardian of Port Alexander, he has worked with the other heroes on several occassions but is not one of their loose group. He has called on them for aid when magical forces threaten the city, but keeps mostly to his own devices. First Appearance: As Lorelei Crosby, Interlude 18.2. 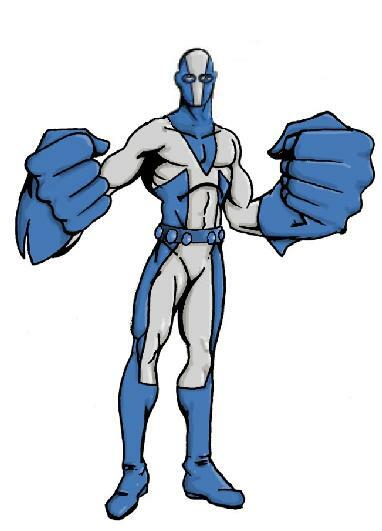 Known Powers: Flight, Ice based attack and ability to create shapes out of ice for various uses. 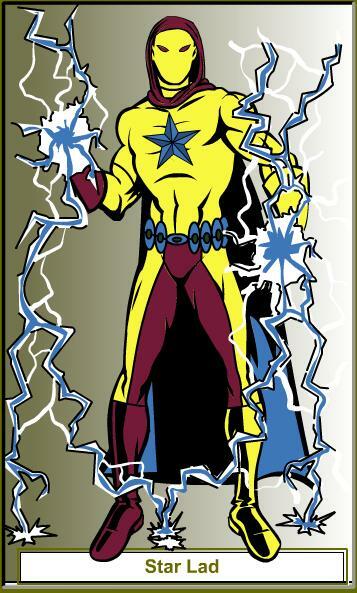 Known Powers: Fires cosmic energy blasts, flies. Member of Midnight Angel Detective Agency with MidKnight. 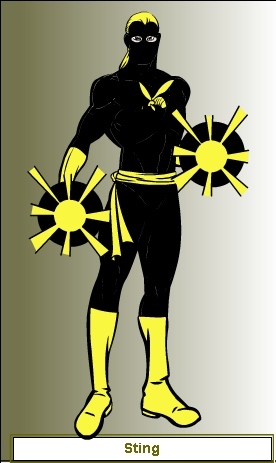 Known Powers: Armoured exoskeleton. Sir Marcus of the Beggar Kingdom found PowerFist's dicarded exoskeleton, lost when the Cowboy took him down in Interlude 24.2. He repaired it and now serves the Beggar Kingdom as Tatterknight. Left the Protectors in Interlude 34.2 to return to space and serve his race elsewhere. Port Alexander's most exciting man of mystery, he is incredibly old by earth standards although not by those of his nomadic alien race. 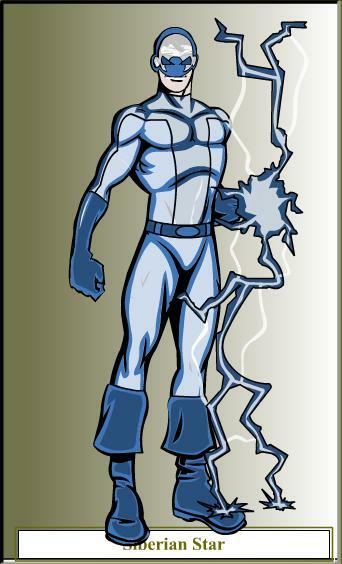 Physically stronger than humans, he also has greater constitution and the ability to teleport. In a weightlifting contest in Issue 15, Wanderer beat both Defender and the White Knight. In Interlude 34.2, the Wanderer was called back to his people and reassigned. He faked the death of his alter-ego Simmon Marious in a boating accident and departed.